Below is an interview on Scapular Muscles with Dr. Leanda McKenna. Leanda is one of the leading experts on shoulder pain. You can follow her on Twitter here and her Research Gate page here. 1. What are your favorite tests for ruling out subacromial and internal impingement? Because “impingement” is a bit of a “catch-all” term for any subacromial pain, it can be hard to rule out clinically. I can only rule it out when other syndromes seem to be more evident. This is challenging when tests don’t have brilliant specificity or sensitivity, so I usually do 2-3 tests for one thing to improve diagnostic accuracy and depend on palpation and the subjective history. Overall though, I tend to compare abduction external rotation between sides – if that is painfully limited on the symptomatic side this will pickup adhesive capsulitis (even in the really early stages). Cervical involvement I think I would pick the same as any other physio – through cervical AROM, PAIVMs (I use anterior and posterior directed PAIVMS), sensation, strength and reflex testing. For cuff involvement, I use Gerbers test, empty can, full can, and a movement described by Jenp et al 1996. For Biceps/SLAP, I use Yergasons/Speeds. For instability, I use apprehension, relocation and anterior drawer. For labral tears, I use the crank test, O’Brien’s (but I should review this and perhaps include the passive compression test or dynamic shear) and for the AC joint, I use the Paxinos test. 2. What did your study specifically analyze? 3. What types of scapular strengthening did your study implement? The study examined scapular strengthening that previous research utilized – this included a wide variety of types and durations of exercises including isometric, concentric and eccentric exercises in multiplanar directions and varied body and joint positions in both open chain and closed chain positions. We looked for patterns of durations and types of exercises, but were not able to find any – but we need more research to explore this. 4. What are some often forgotten exercises for strengthening the scapula muscles? Well, not sure I can speak for anyone else, but I often need to remember to incorporate lower limb and axial muscle training. 5. 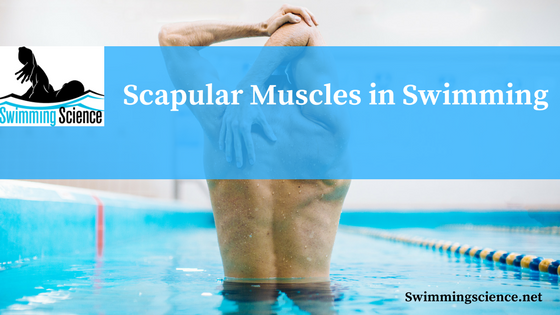 What types of reps and sets should be done for the scapular muscles? This has not been established yet, so watch this space. 6. How long should a strengthening program be implemented? Forever! Functional isometrics can be incorporated into daily life very easily. Dr. Leanda J McKenna is affiliated with the School of Physiotherapy and Exercise Science, Curtin University. Dr. Leanda J McKenna has authored and co-authored multiple peer-reviewed scientific papers and presented works at many national and International conferences. Dr. Leanda J McKenna is actively associated with different societies and academies. Dr. Leanda J McKenna academic career is decorated with several reputed awards and funding. Dr. Leanda J McKenna research interests include Physiotherapy and Exercise Science. This article reads like a medical journal one. A little plain English would be appreciated. “Subacromial and internal impingement” … seriously? Some definitions would help. Sorry, we’ll work on simplifying these reviews.